Flavored black tea blend decorated with marigold flowers. 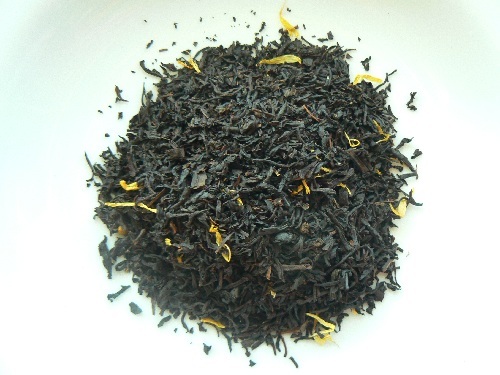 This blend starts with a beautiful black tea blend. A staple for any tea assortment. Certified Kosher.